Add to your Christmas tree, dorm desk, college bookshelves and more! Your holiday dorm room decorations are about more than your dorm Christmas tree. Sure, that's where your holiday decorations start, but that isn't all that your holiday decorations are. When you're in college, dorm room decorating for the holidays can be tough. You really want to go all out and make your college dorm room decor look great for the holidays, but you're also in a college dorm room and don't have as much space as you would like. All is not lost, though. Just like the rest of your dorm necessities, you can invest in compact college dorm essentials that add a lot to your college dorm room without taking up a lot of space. For cute accents to your dorm room decorations, look no further than cheap dorm supplies like our 7" Red Mini Spray. 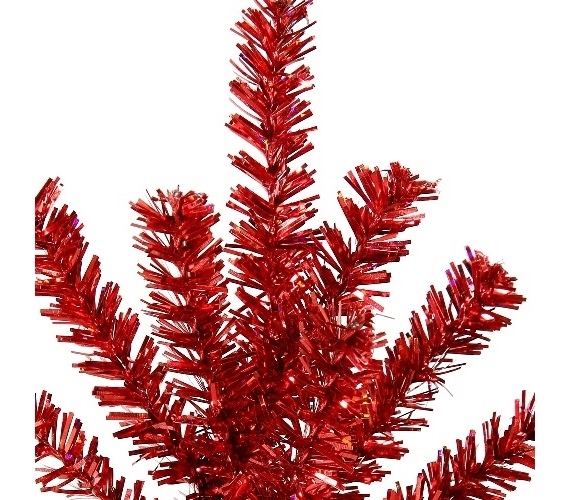 Our 7" Red Mini Spray features a rich red color for the branches and it looks like a top to a mini dorm Christmas tree. This dorm item is perfect for placing in your dorm Christmas tree for a hint of color throughout the branches and you can even place it in a dorm wreath for a unique look. Of course, you aren't limited to a dorm Christmas tree or wreath for this dorm necessities item. You can use your imagination and use it as an accent piece on your dorm desk or college bookcase!